Can We Stop Climate Change Without Dismantling Capitalism? Can climate change be addressed without dismantling capitalism? The current track record of world leaders suggests not – especially with the election of the world’s most prominent climate denier to the US presidency. The Cross of the Moment is a documentary exploring the climate change dilemma and various options for limiting global warming and mitigating the effects of catastrophic climate change. It’s produced in a panel discussion format, with the filmmaker posing specific questions to prominent astrophysicists, climate scientists, political economists and climate activists (including Bill McKibben, Gary Snyder, Derrick Jensen, Peter D. Ward, Jill Stein, Bill Patzert, and Guy McPherson). I’m not normally a big fan of talking heads, but the optimism conveyed by this film – in stark contrast to the usual alarmist arguments – definitely held my attention. I was especially impressed with Bill McKibbon’s elegant explanation of why changing light bulbs and other market-based behavioral changes aren’t going to end global warming. The climate activist lays out an elegant argument why systemic structural changes is needed to wean humanity off of fossil fuels and why fossil fuel companies aren’t going to allow this without a major global movement to counter their power and greed. The other panelists present a range of views on the specific structural/systemic changes that are necessary to prevent climate changes from wiping out our ability to produce food. Most seem to agree that fossil fuels could be totally phased out – and replaced by renewable energy – by 2050. They estimate this could be done for a total capital cost of $15 trillion (which according to the IMF is less than we currently spend annually to subsidize the fossil fuel industry*). The film offers a number of viewpoints on how to bring this about. One economist favors a carbon tax; another would totally ban wasteful industries such as packaging (the third largest global industry after energy and food) and junk mail (which produces 51 millions tons CO2 annually in the US alone). Two activists express the view that the political corruption exerted by the fossil fuel industry couldn’t be overcome without dismantling capitalism altogether. * According to the IMF, fossil fuel companies benefit from $5.3 trillion a year in subsidies. Forget Shorter Showers is a documentary based on an essay by anarchist Derrick Jensen that challenges neoliberal dogma that makes each of us personally responsible for reversing the ongoing environmental destruction caused by industrial capitalism. Consumers who have joined the campaign to fly and use their cars less, change their light bulbs and take shorter showers are the victims of systemic misdirection by a pernicious PR industry. The latter continuously churns out propaganda that we can save the planet through market-based solutions such as shopping. Al Gore’s movie An Inconvenient Truth is a classic example of this deliberate misdirection. Instead of calling for policy changes that hold corporate polluters to account, his film deliberately disguises the reality that industry is responsible for the vast majority of carbon emissions. In doing so, Gore incorrectly blames powerless individuals for the climate crisis, instead of the elites who hold real the real power. If the entire global population adopted a low carbon footprint lifestyle, it would only decrease carbon emissions by 22%. Climate scientists tell us we need to decrease them by 70% to stave off catastrophic climate disruption. In a similar vein, reducing individual water usage isn’t going to solve the freshwater shortage. Ninety percent of all freshwater is used by agriculture and industry. Five percent is used by municipalities, and 5% by individuals. Industry is also responsible for the vast majority of energy consumption and waste production. The filmmakers point out that we’re easily conned into taking personal responsibility for all these environmental issues because it’s less scary than acting decisively to stop the industrial capitalism from destroying the planet. Among other fears, people worry the grid might go down, causing us to lose access electricity, clean water and cellphone service – not because we need these perks to survive but because we’ve become addicted to them. Fear of state violence is also a biggie. 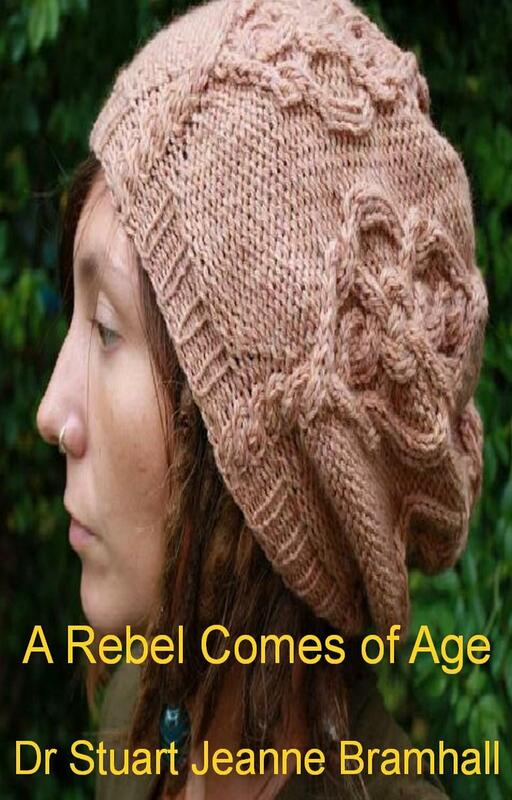 The documentary provides numerous historic examples of courageous activists who have overcome such fears. 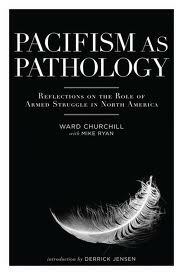 Pacifism as Pathology is a collection of essays centered around Ward Churchill’s original 1985 essay “Pacifism as Pathology: Notes on an American Pseudopraxis.” The premise of the essay is that the militant nonviolent stance assumed by the US progressive movement is based on irrational psychological reasons rather than strategic reasons or moral principle. 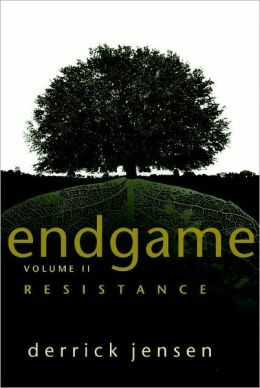 The 2007 edition contains a preface by Derrick Jensen, who lays out compelling reasons for the necessity of “violence” in bringing about genuine political change in his 2006 book Endgame. Jensen’s argument, as in Endgame, is primarily ecological. Humankind is being systematically killed off by the capitalist class, via their poisoning of the air, water and food chain, as well as their heedless imposition of catastrophic climate change. Jensen poses the very reasonable question: are we willing to retaliate violently to save our own lives and those of our children and grandchildren? The next essay is Ed Mead’s preface to the 1998 edition of Pacifism as Pathology, immediately following an 18 year prison term as a result of armed actions (bombings of state and federal buildings in Washington State) conducted by the George Jackson Brigade. Based on his experiences, he arrives at the following conclusions: 1) pacifism as a strategy of achieving social, political and economic change can only lead to dead end liberalism – the most vicious and violent ruling class in history won’t give up privilege without a physical fight; 2) because 99.9% of practitioners of political violence will eventually confront death or imprisonment, it’s imperative that political violence be carried out in a manner calculated to win; and 3) although the George Jackson Brigade applied the tool of revolutionary violence when its use wasn’t appropriate, he feels pride that they erred on the side of making revolution instead of the alternative. The book also contains an afterwards by Canadian Activist Mike Ryan describing his frustration after 20 years of nonviolent resistance as part of the Canadian peace movement – and his conclusion that violent resistance must be allowed as a tactic for genuine political change to occur. Churchill explains, in his 1998 introduction, that Pacificism as Pathology was originally written in 1985 as part of a four year debate over a workshop “Demystification of the Assault Rifle” that he gave at a 1981 Radical Therapy conference. He was invited to give the workshop owing to an admission by many activists that their fear of weapons was chiefly responsible for their rejection of violence as a political strategy. The reaction of some conference participants was to pass a resolution banning similar workshops in the future, as well as the presence of firearms (except those of the police or military) at any Radical Therapy conference. Churchill was invited to write an article on his views for the magazine Issues in Radical Therapy, which was subsequently Xeroxed and distributed widely throughout North America. While Churchill acknowledges the right of all activists to personally reject violent strategies and tactics, he challenges the right of nonviolent proponents to condemn activists willing to embrace property destruction and/or armed self-defense among a diversity of strategies. As he points out, activists willing to engage in violent resistance wouldn’t dream of trying to force their views on nonviolent activists. For me, the most valuable part of the book is the first section about Bruno Bettelheim and Jewish armed uprisings, in the Warsaw and Bialystok ghettos and in numerous concentration camps during the second world war. This is an aspect of World War II history I was totally unaware if, as the work of Bettelheim and other scholars documenting armed Jewish resistance are carefully sanitized from the history textbooks served up to US high school and college students. Bettelheim, who contrasts the Jews who resisted violently with the majority of Jews, who followed the Nazis passively to the camps and even to the gas chambers, makes a strong case for his belief that the persecution of the Jews was aggravated by the pervasive lack of fight back. He blames their failure to resist on strong psychological denial – a pathological need to cling to an illusion of “business as normal” – that ultimately overwhelmed their basic survival needs. The logical position would have been to accept the cold reality that their own lives were doomed and to use their deaths to save the life of other Jews by making the extermination more difficult. He points out that Jews had easy access to guns in 1930s and 1940s Germany, and there was no reason why every Jew that was arrested couldn’t take one or two SS officers with them. Churchill describes how all the revolts inflicted significant damage on the Nazi machine. The revolt at Auschwitz killed 70 SS officers and destroyed the crematorium. Armed rebellions at Sorbibor and Reblinka were even more effective, and Sorbibor had to be closed following the uprising. There were also lesser insurrections at Kruszyna, Krychaw and Kopernik. Churchill devotes the rest of the book to correcting historical distortions regarding Gandhi’s and Martin Luther Kings nonviolent resistance movements (which have been totally whitewashed by the ruling elite); a brief historical overview of the ineffectiveness of nonviolence in contrast to campaigns incorporating violent resistance; an analysis of the inherent racism implicit in the dogmatic nonviolence promoted by white upper middle class activists; and an outline of the irrational psychological motivations underlying militant nonviolence. According to Churchill, the main reason white upper middle class activists reject violent resistance relates to intense ambivalence whether they really want to dismantle capitalism and give up their position of privilege. Ward Churchill is a Native American author and American Indian Movement (AIM) activist. He was a professor of ethnic studies at the University of Colorado Boulder from 1990 to 2007. His best known book is the 1990 Cointelpro Papers. In A Rebel Comes of Age, seventeen-year-old Angela Jones and four other homeless teenagers occupy a vacant commercial building owned by Bank of America. The adventure turns deadly serious when the bank obtains a court order evicting them. Ange faces the most serious crisis of her life when the other residents decide to use firearms against the police SWAT team.